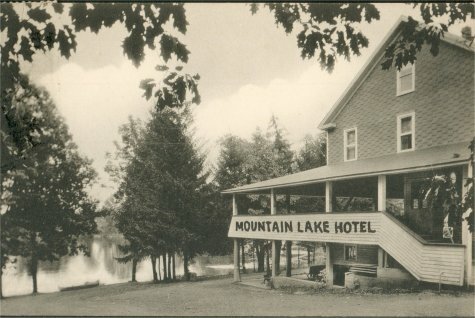 Mountain Lake Hotel (Above)- Before the Fire. Does anyone know the date this burned? The above building replaced the older one. 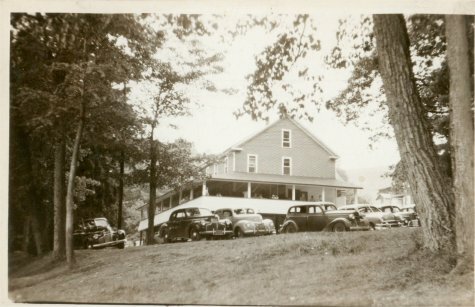 It was a popular hangout in the 1930s and 1940s. My father, Leslie Tice, takes full credit for the introduction and susequent marriage of Mollie Coleman who was staying at a girl's camp across the lake, to Frank Beardslee. It was my father's idea to go to this place the night Mollie and Frank met. 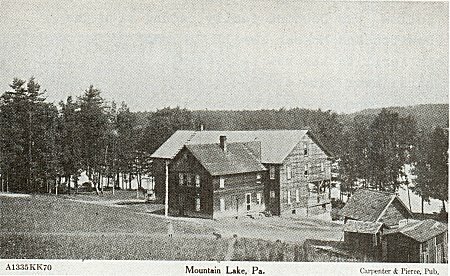 Another view of the later Mountain Lake Hotel. 1900 - Mountain Lake Hotel opened yesterday, by John Lewis, who will conduct it this season. He has secured excellent cooks and other help and has made improvements about the place. 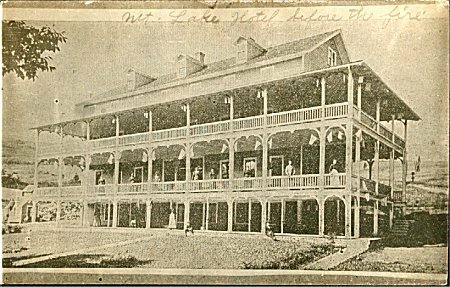 1901 - Mr. & Mrs. Smith Nichols of Mountain Lake moved to the Mountain Lake Hotel on Monday… where they expect to preside for the next three years, having leased it for that length of time.